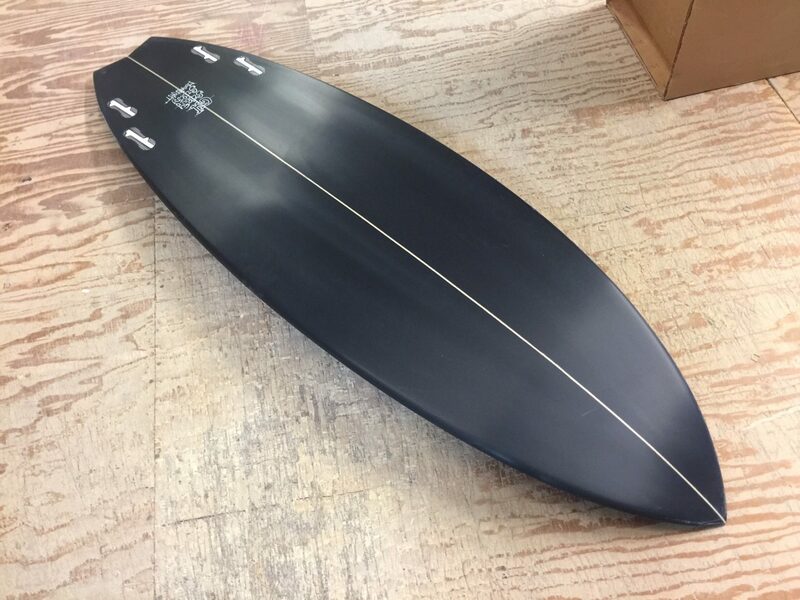 This is GH’s ‘cuda model. 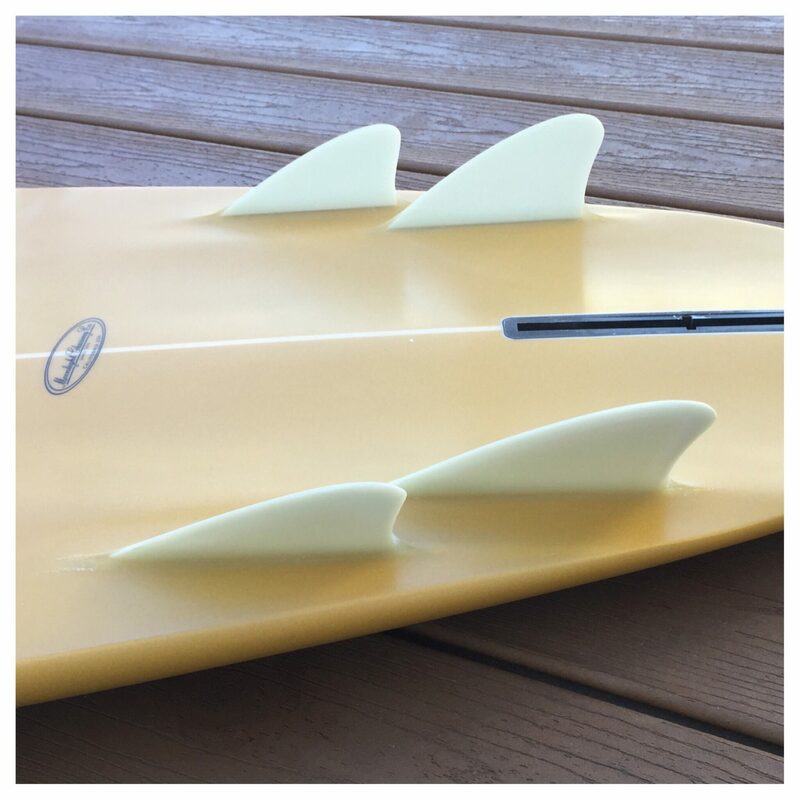 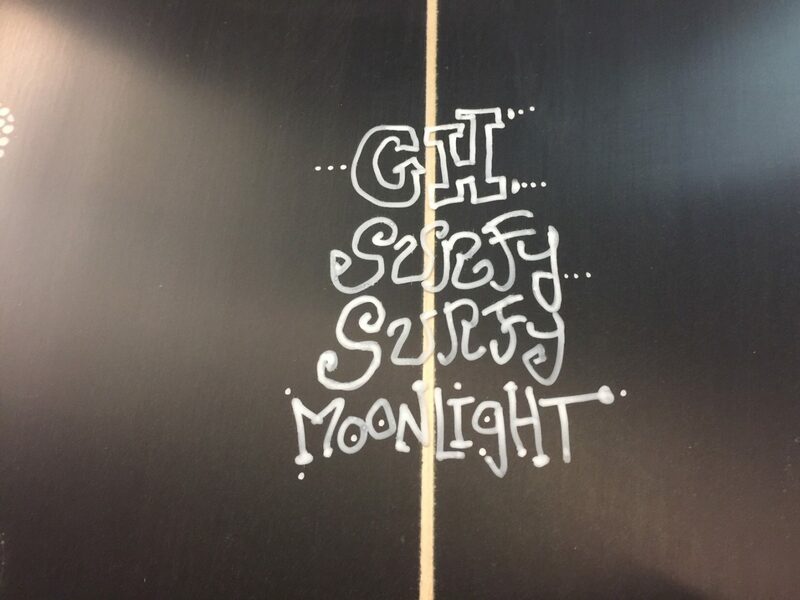 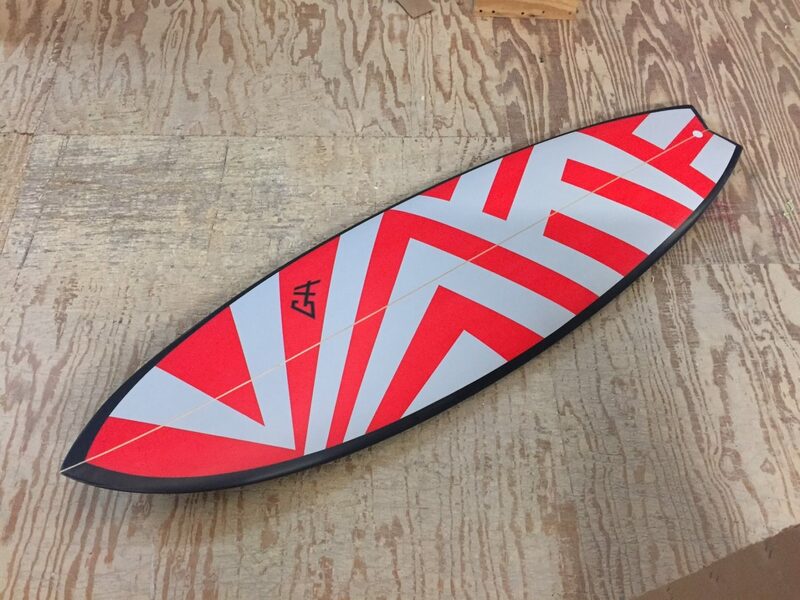 A modified contemporary performance shortboard for funkier waves. 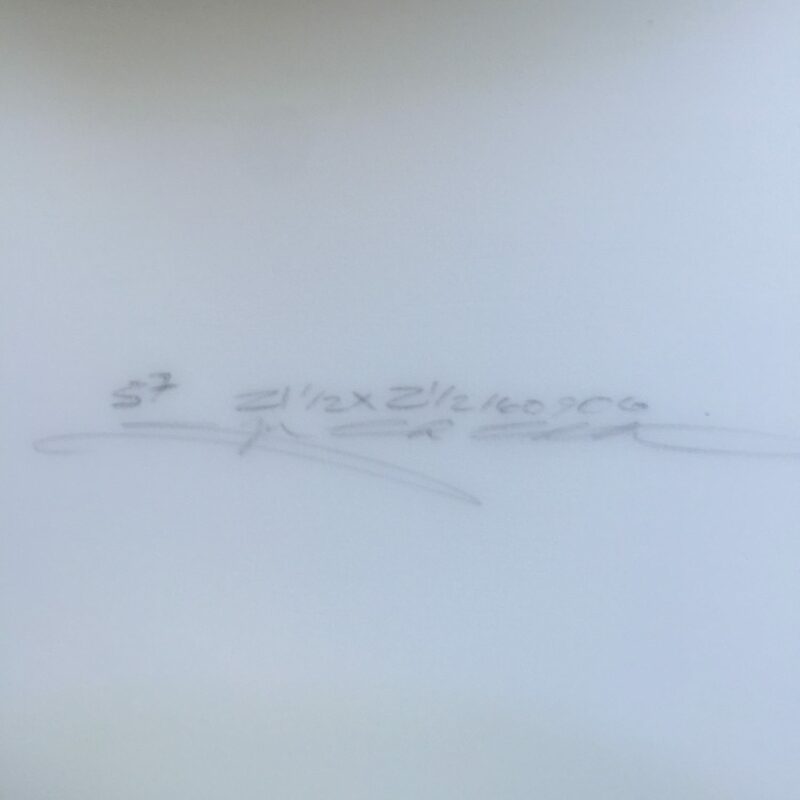 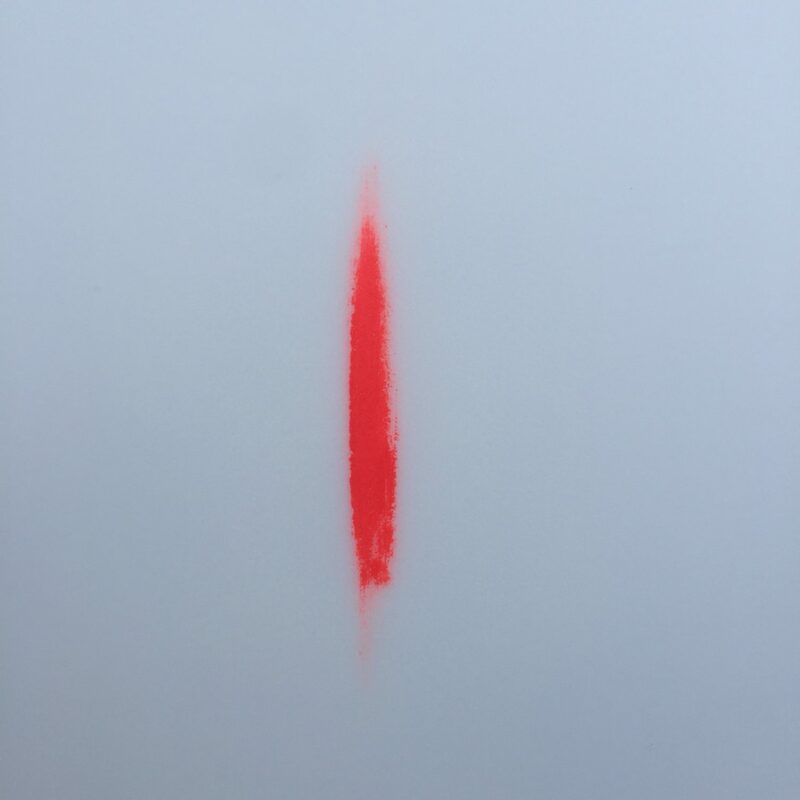 Fancy airbrush skills by Peter St Pierre. 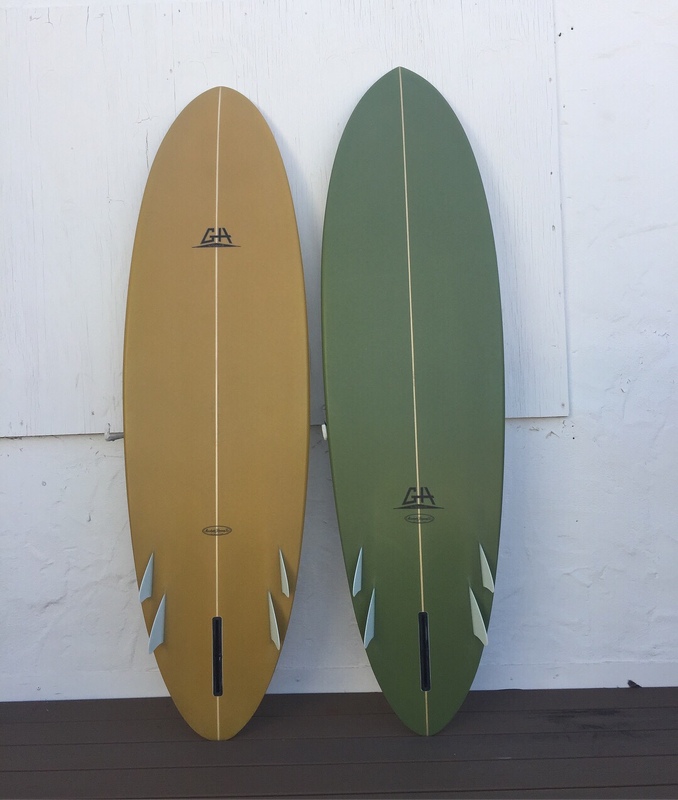 These little mini-simmons type surfboards are so awkward looking that I never do the hard sell on them. 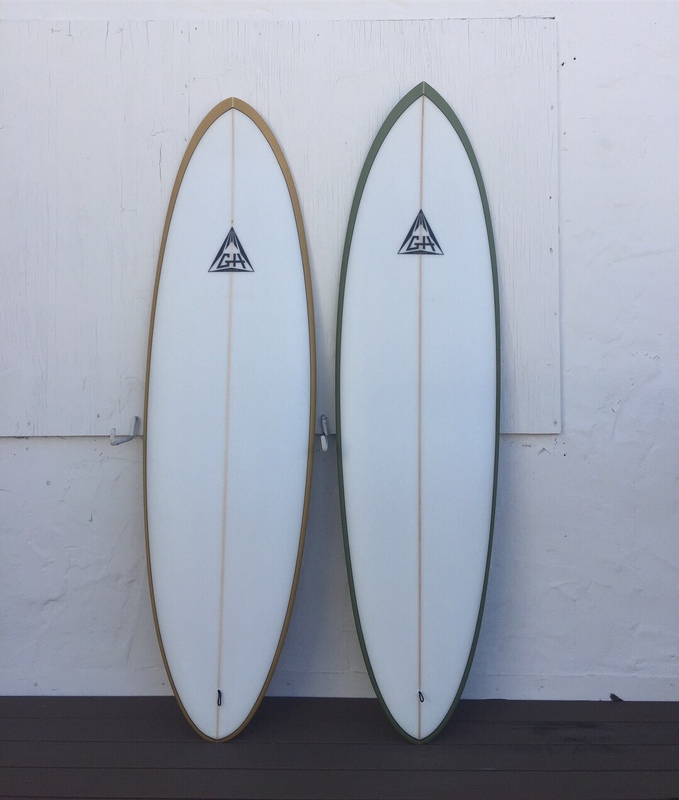 But if you have the correct mindspace to ride them, they are a blast. 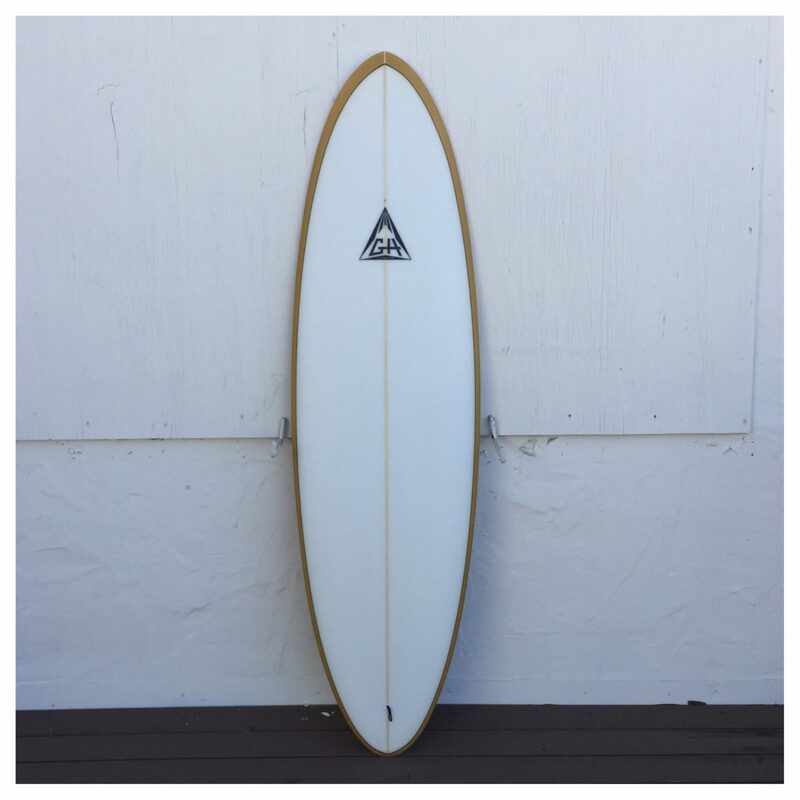 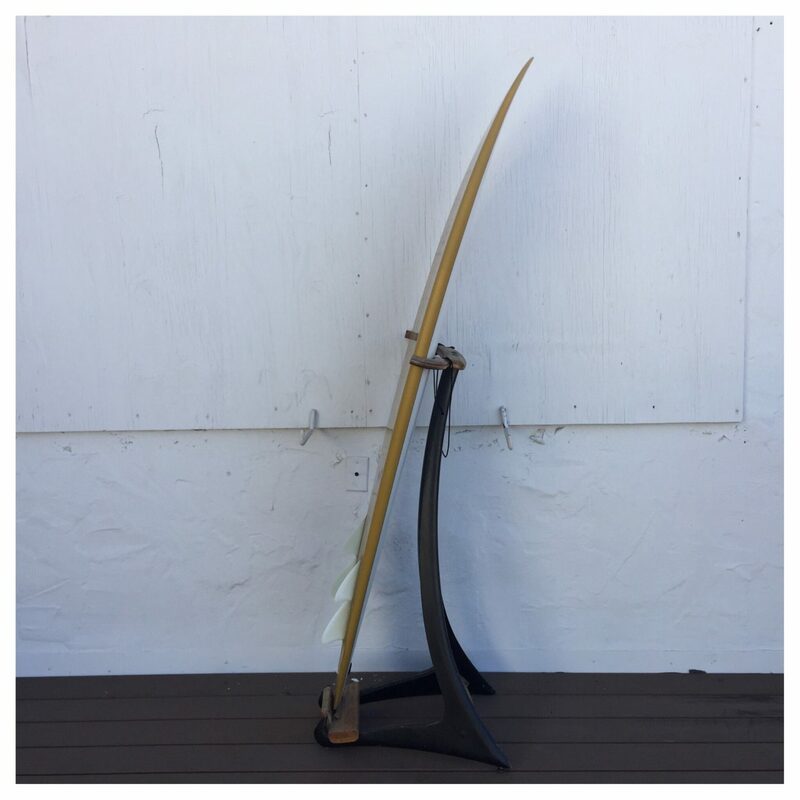 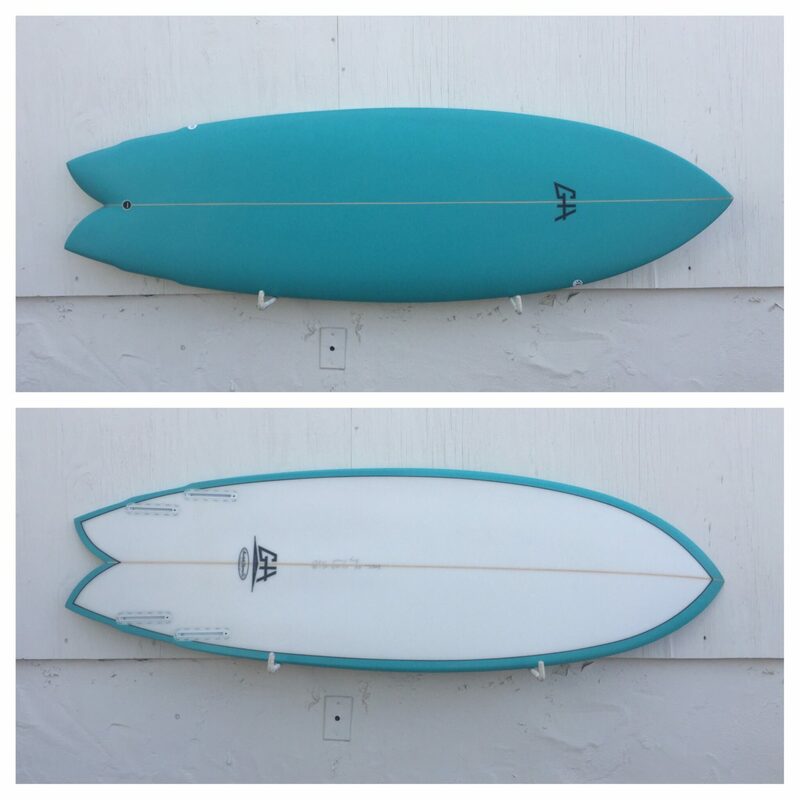 This is a 5’7″ Christenson Ocean Racer shaped out of stringerless Varial foam. 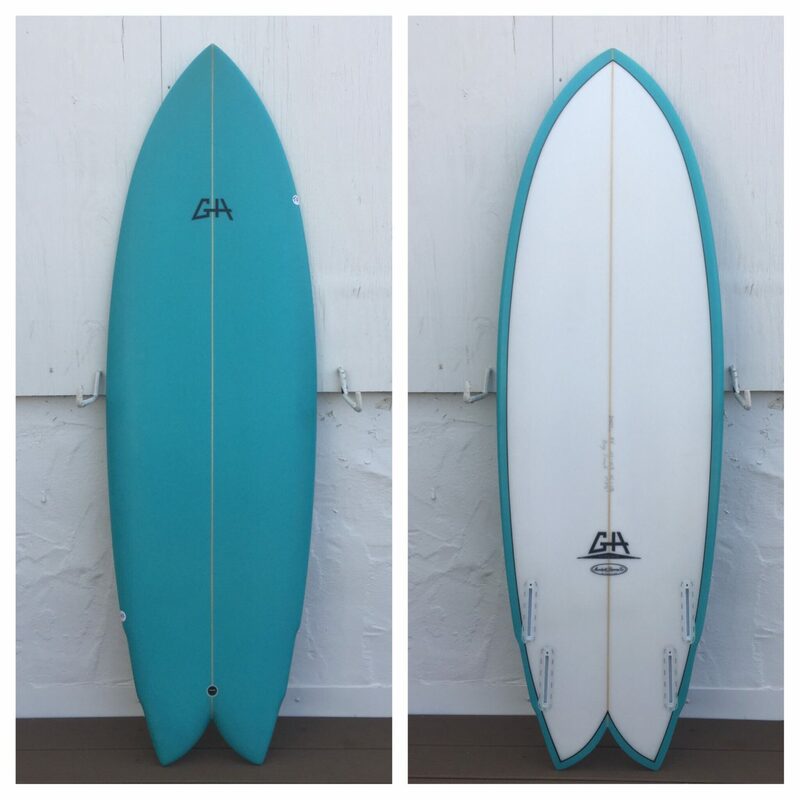 This classy Gary Hanel quad Fish is stock at Surfy Surfy. 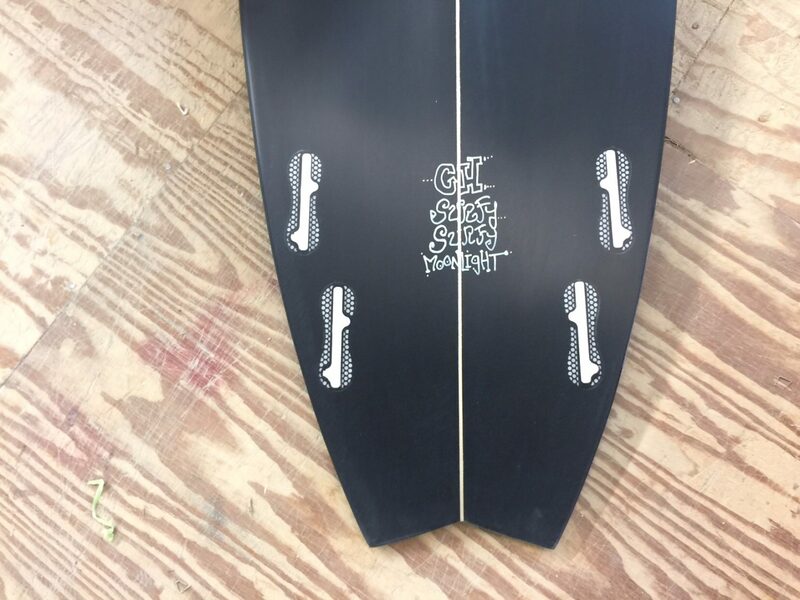 Airbrush deck and rails. 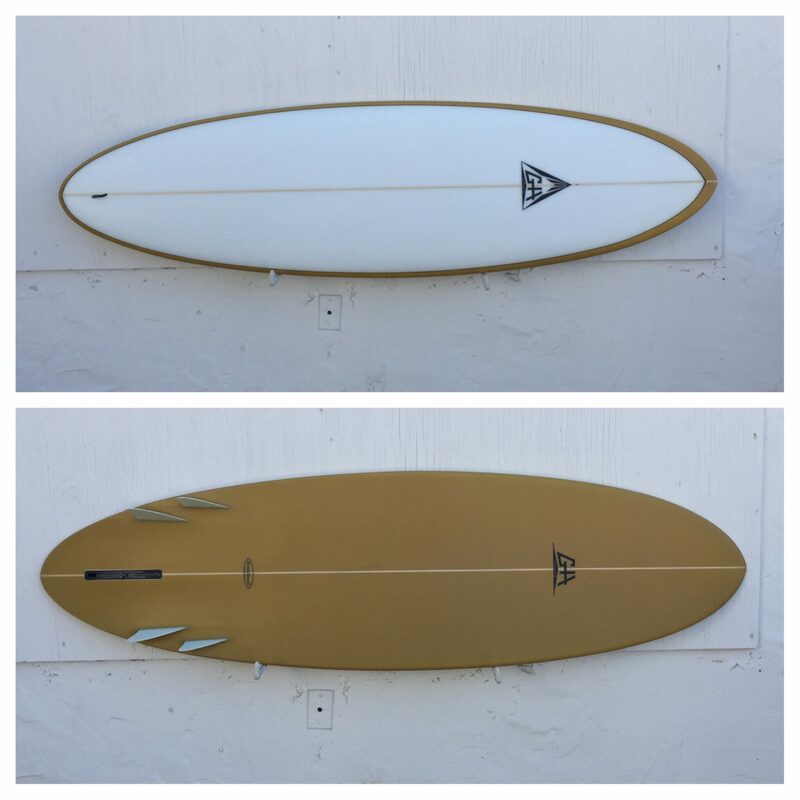 Pinline bottom. 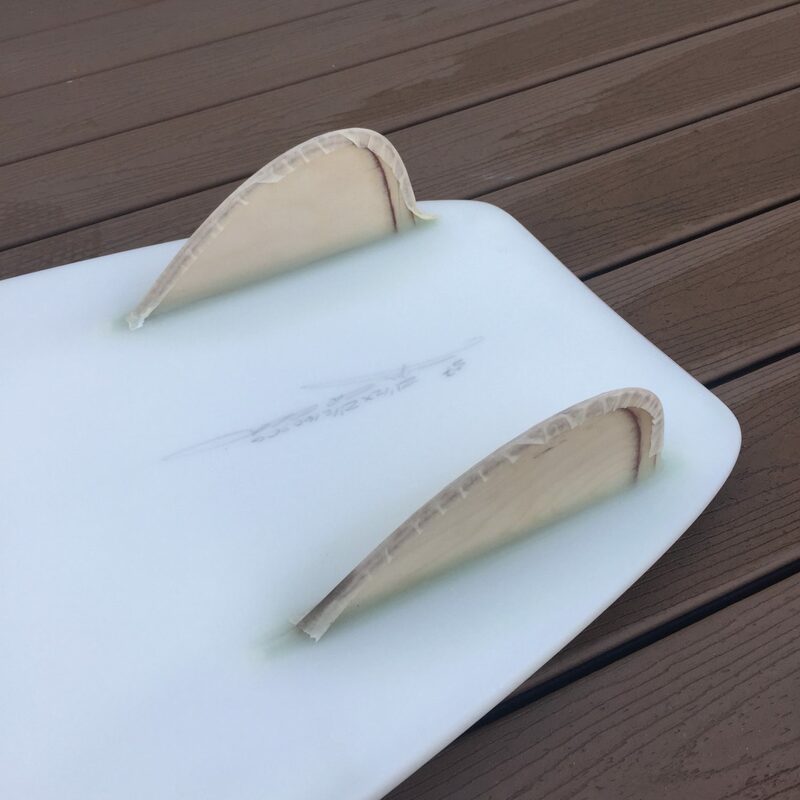 Futures fin system. 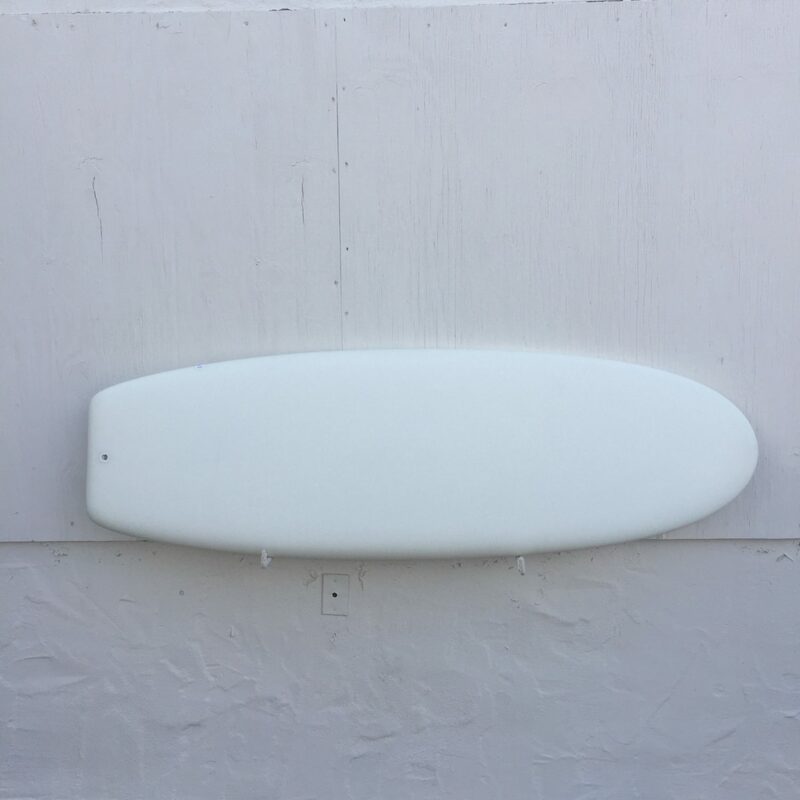 Wetsand gloss finish. 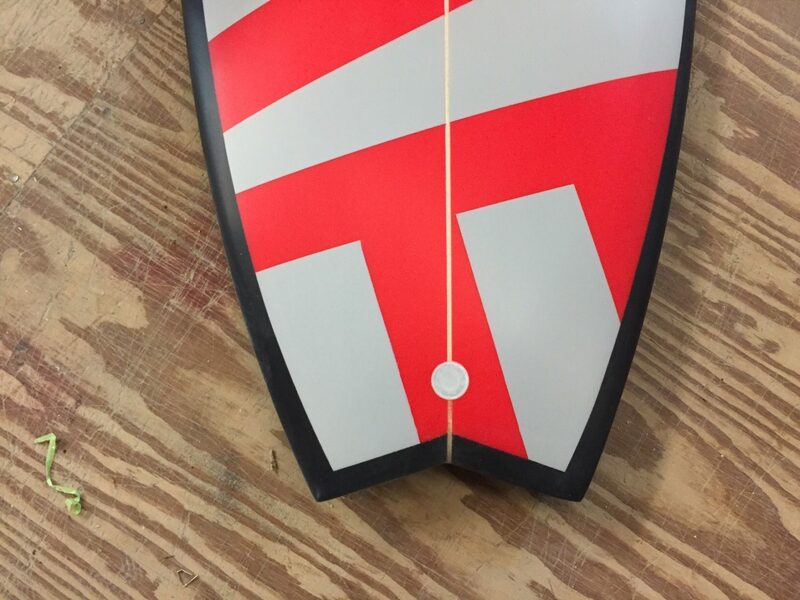 This is going to be a good one for somebody! 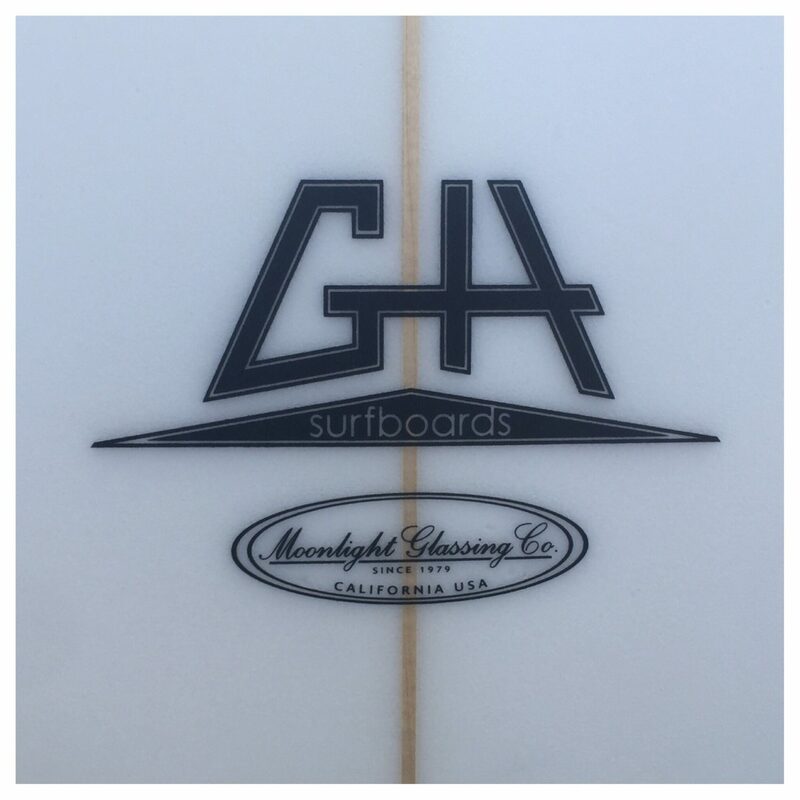 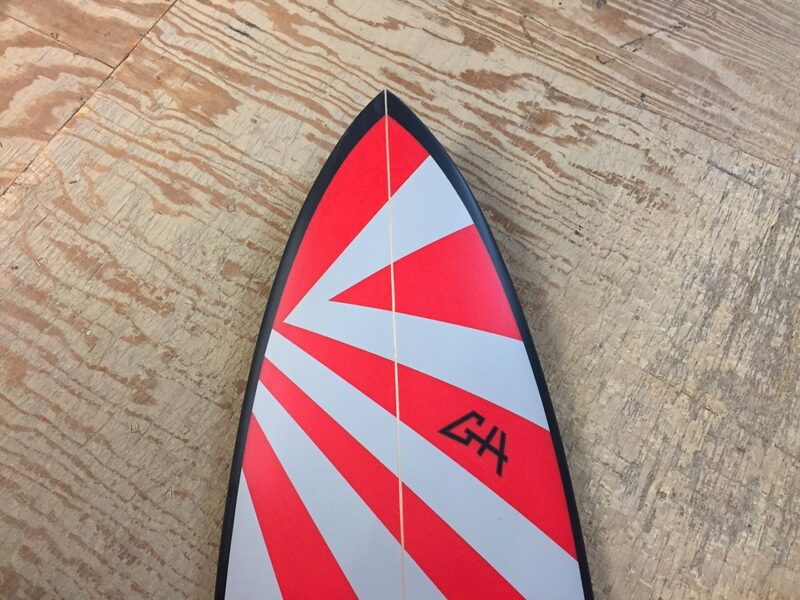 GH makes a fine bonzer 5 fin. 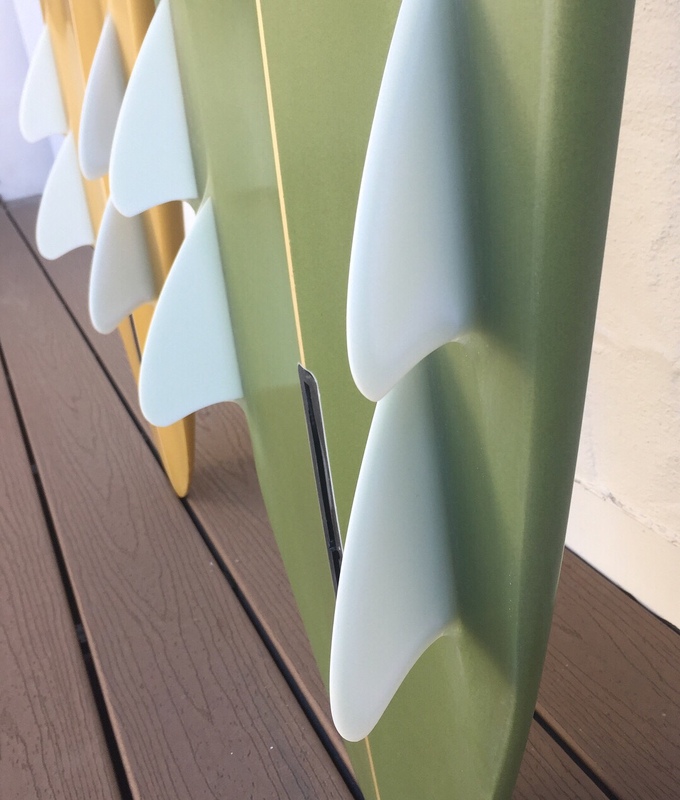 Featuring GH’s cutaway bonzer side fins. 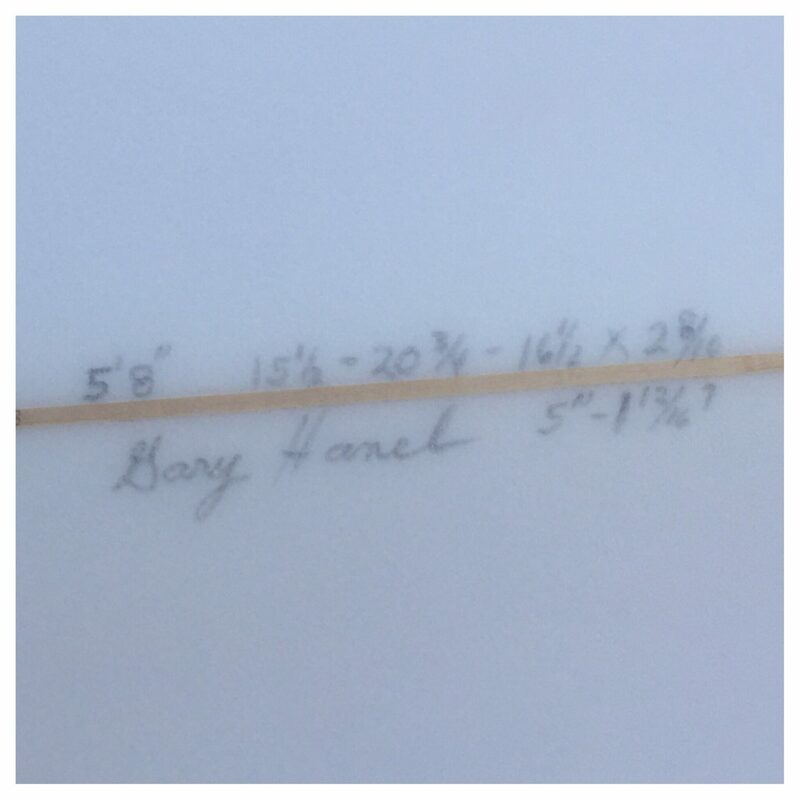 Gary Hanel puts his own take on the Campbell Brother 5 fin Bonzer system. 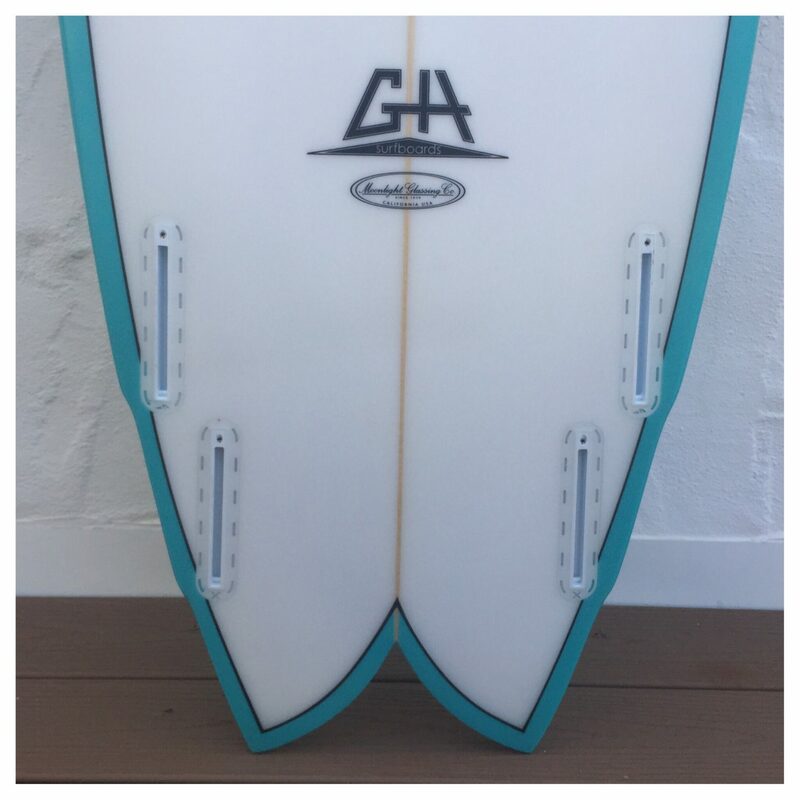 GH does his side fins with a cutaway. 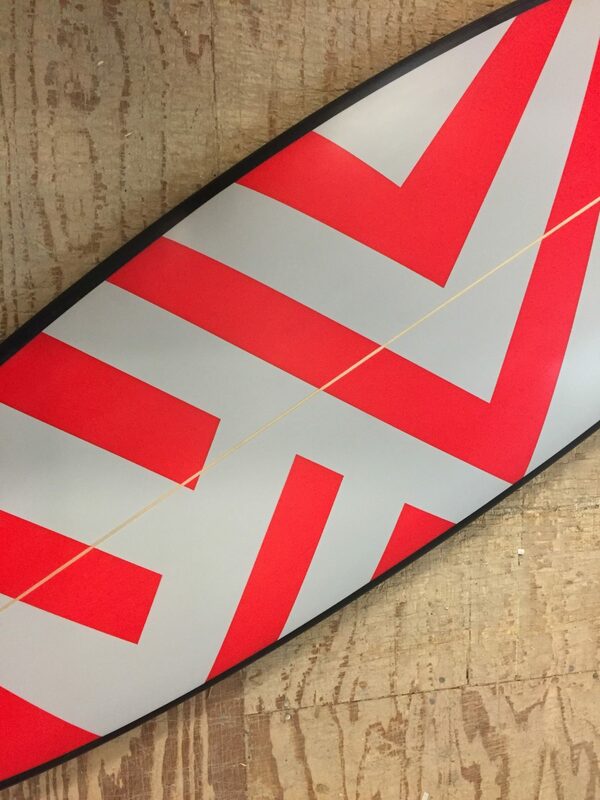 Rails are shortboard performance and the rocker and foil will handle steeper waves and more aggressive surfing than one might associate with this outline. 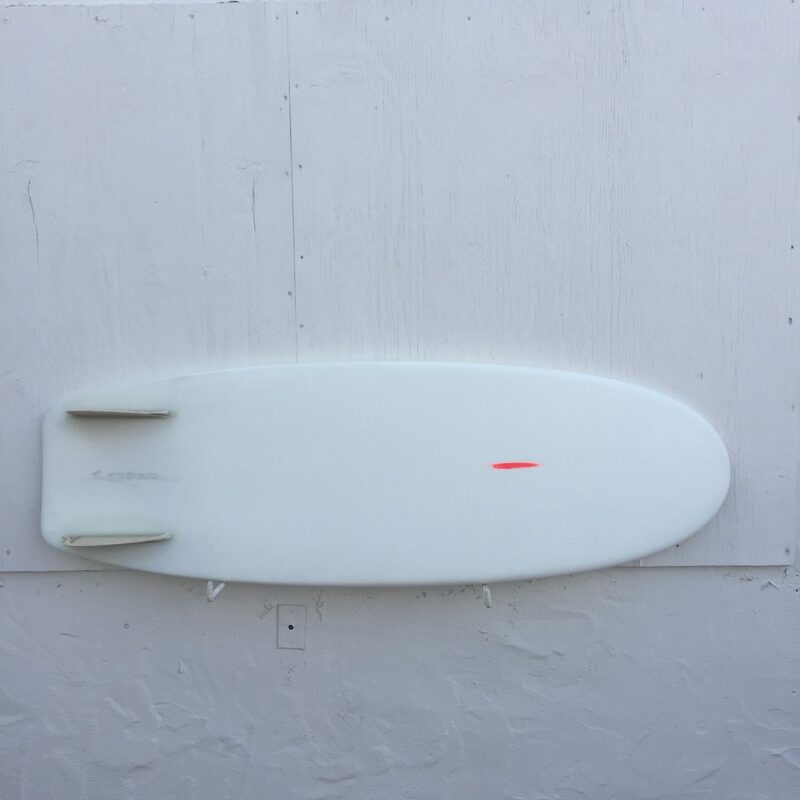 Designed to be ridden with a standard Bonzer center fin.